Yo girl! Did you have an awesome weekend and break from your biz? I know I did! If you already read my instagram post, you know I just got back from a full three day tech detox. It was magical. A tech detox is basically a business shut down. 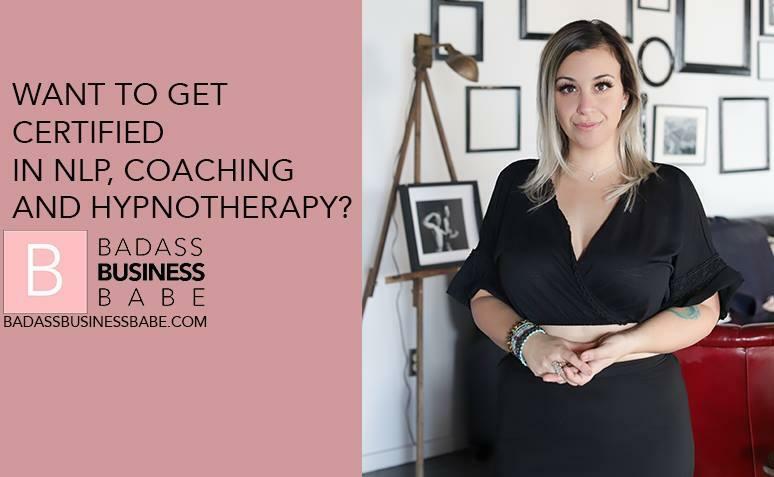 It's something I do every couple of weeks to reset my brain and heal some of the overwhelm and burnout that starts to creep into my business mindset. Whenever I am feeling uninspired, creatively exhausted, or overwhelmed without a focus; I know a tech detox is the perfect medicine to getting back to my most aligned high vibe self. This past week I was on the edge of burn out and it felt like the perfect time to disconnect. After all, "What would your life look like if you didn't have a business on social media?" If you don't know the answer to this question, I would definitely recommend marking your calendars for your own personal tech detox. So this past weekend, in an effort to connect more deeply to my own personal answer of that question, I removed all my social media apps and spent three full days living my life. 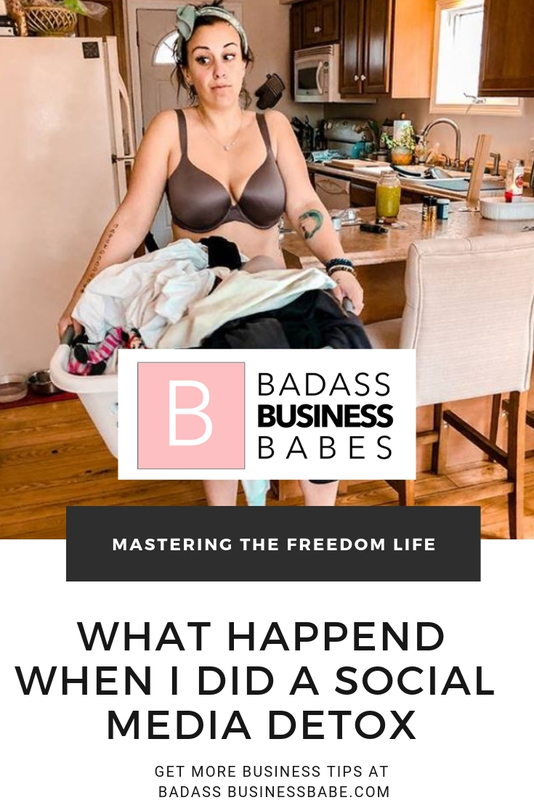 I have been working non-stop lately at Badass Business Babe. 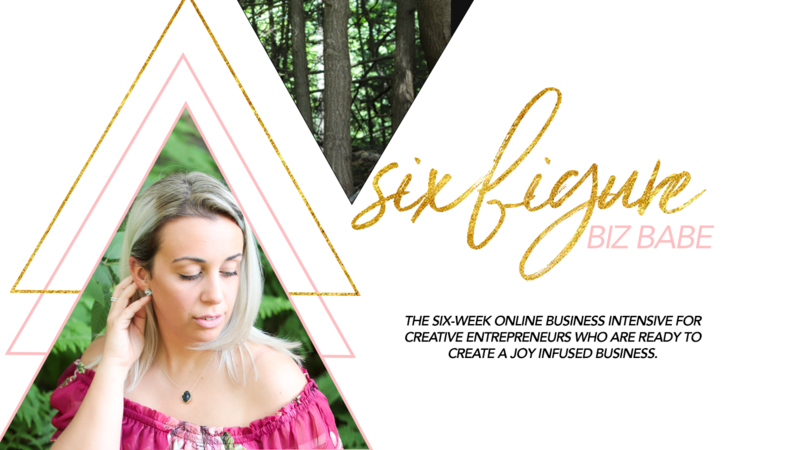 Amazing things are happening over here, and with all the business magic and excitement over our company's growth, I found myself letting down my work boundaries and spending WAY more time on social media than what I would consider to be healthy. But.... I'm a flawed human who is still improving. My current schedule (while it changes with the seasons) I work Monday through Thursday. I wake up at 6am and spend time to myself for three hours, and then start my work day at 9am. Lately Though? Lately, I have been pushing closer and closer into crazy workaholic mode. It kind of creeps up on me, ya know? One day I decide to start work 15 minutes earlier... and then before I know it, I'm waking up at 6AM and plopping myself in front of my desk with a cup of foursigmatic without even brushing my hair for the day. A lot of business owners have fear around taking breaks and disconnecting from social media. Let's face it, we worked hard to grow our audience and taking a break from honoring and serving our following can feel super scary. "What if people get annoyed?" or "What if I lose my customers?" or "what if I miss a sale!" "What has to happen in order for me to feel safe disconnecting from social media?" 1. 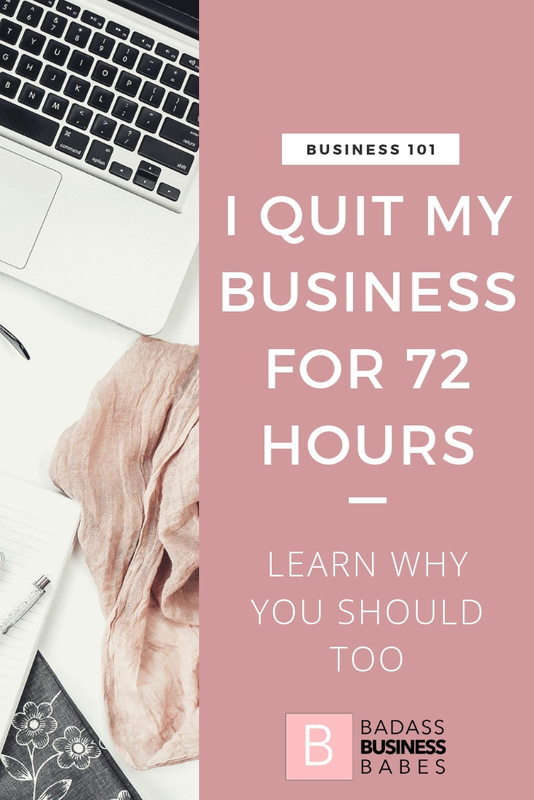 Let my audience know I am disconnecting (this was a Facebook post in the Badass Business Babe Facebook group, a few instagram stories and a reference in my most recent Facebook Feed post) I let my audience know why I am disconnecting and most importantly, when I will be back. 2. Remove social media apps from my phone. I have such a bad habit of opening my phone to check the time and somehow magically ending up in the Instagram app. It's crazy, but it's almost as if I don't even realize I am doing it! Temporarily removing social media apps from your cell phone definitely helps ease this process and makes you less likely to break your promise to yourself. If you don't want to go through the hassle of removing the apps, you can also drag the apps to a different hidden folder on your phone so you won't see them. I label my social media folder "DO NOT OPEN" and I put it on the very last screen of my phone so I can only see it if I swipe to the right five times. 4. Have RULES for your detox. During my tech detox, this round, I decided to allow myself the luxury of watching television, listening to podcast episodes and taking photographs. Sometimes, I will have a tech detox that does not allow for those activities. Be specific in your rules, and remember there is no wrong or right rule. I won't go into ALL the details, because we would be here forever if I did (I learned SOO many things you guys.) But here are some big takeaways and lessons I can share with you. 1. Take pleasure in the small things. Even the chores. It really brought my so much joy to spend time nesting in my home. Doing the laundry, cleaning the dishes and reorganizing the kitchen really lit me up. It might sound crazy to you, but being able to spend one day taking care of the home and tending to the day to day responsibilities of life really did feel good. I think often as an entrepreneur running a multi-million dollar business, I feel the pressure to live this luxury lifestyle that is so expected and publicly broadcast on social media....but if it means having to get someone else to do my laundry; I am not entirely sure I want that. (note: we do have a cleaning lady who comes to the house once a month for a deep clean.) This weekend I folded laundry while I watched modern family with Matt and I did the dishes listening to some beautiful podcast episodes I have been dying to listen to. I got to organize my kitchen and it felt like I was HOME in that space for the first time in a long time. When I have social media running, lets face it - all these chores can feel like distractions from the business and an inconvenience. But when I was in this social media free zone, I actually enjoyed those activities. 2. Intentional Consumption is way more affective than multitasking. My firm belief is that there is no such thing as multitasking. You can bounce from one thing to the next thing to the next thing, but ultimately, you cannot do two things at once. I cannot listen to my husband while I am responding to a client on DM. I cannot watch a movie when I am reading comments on my latest instagram post. 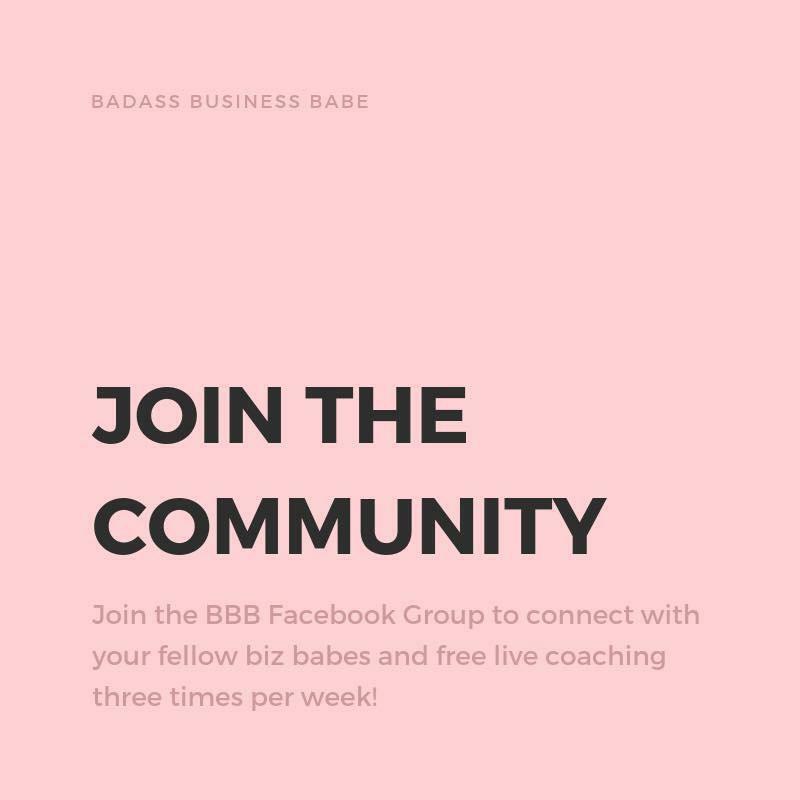 I Cannot listen to my audio book or podcast episode when I am answering comments in our Badass Business Babe Fb Group. My life was SOOO different when I actually was present in the activity I was doing and focused on one thing at a time. That applies to my personal life and business life: When I am focused on one activity in business, I tend to perform better in my craft than when I am trying to do a million things at once. 3. Brilliant Ideas feel safe to come through in the silence. I cannot stress this enough: My creativity THRIVES when I take time off. Over and over again this shows me to be true. The more I really surrender to the silence, the more I get the amazing million dollar ideas. Taking a break from social media gives me that disconnect I need to channel all the brilliant downloads. All weekend I walked around with a notebook and pen because they could not stop coming! Creative energy needs rest and quiet. 4. I am a human first, and a business owner second. I have a deep abiding love for nature and gardening, but I often put that passion on the sidelines because I am working hard to grow the business. This weekend, getting my hands dirty. Tending to our garden, I nearly cried with gratitude. Gardening gives me feelings of creativity and nurturing in a way that our business simply cannot match. But while I love it, I often put my business hat on with hobbies I enjoy. "How can I make this a business?" Matt used to tell me that I couldn't have a hobby because I was always trying to turn hobbies into a business venture all the damn time. After this weekend, I see how important it is to honor all of these parts of me. Gardening is my thing: It is what I love to do as a human. And Because I am a human first and business owner second, I need to carve intentional time out for the things that light me up. Here's a sneak peak of me in my gardening element. I'll be sharing more in a post on the blog soon. 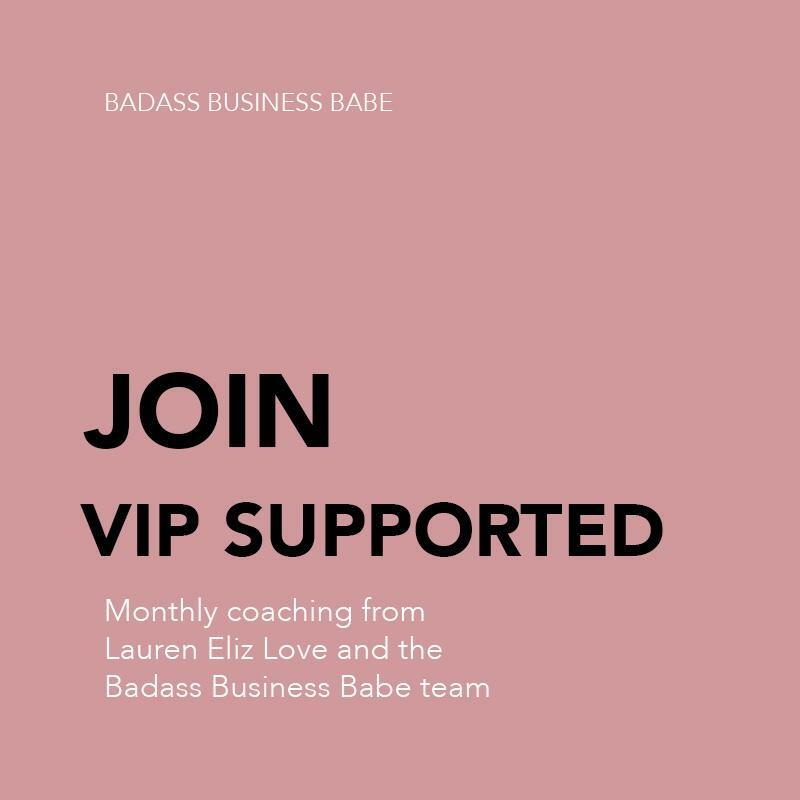 Speaking of ideas, I have to sign off to work on a big project we are building for the Badass Business Babe VIP Supported Community! Are you part of our tribe? It's amazinggggggg! P.S. 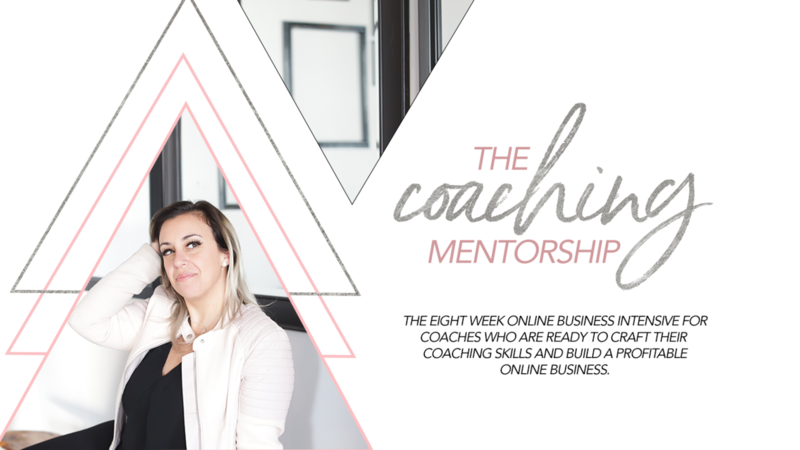 - Do you have limiting beliefs that stop you from taking breaks from social media? 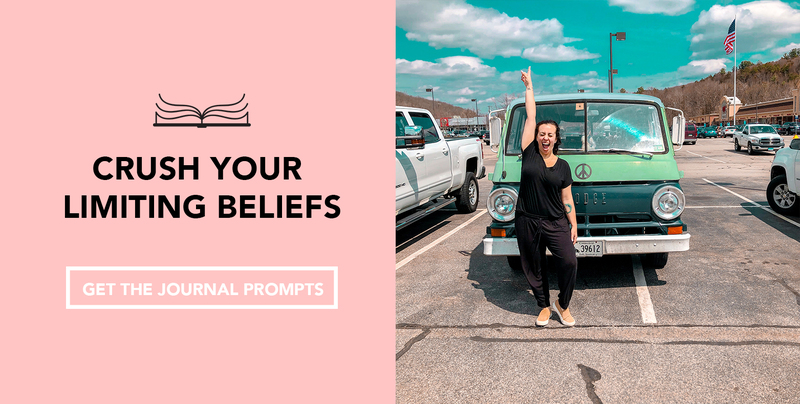 Try walking them through my limiting belief worksheet to shift your mindset forever!